Despite its brevity, season six of Star Wars: The Clone Wars managed to squeeze in some memorable elements, primarily concerning the clones and their relationship to the Sith and the Jedi. Having posted about my five favorite episodes last week from this sixth season, as part of my exploring the Clone Wars series, I thought it would be interesting to look at – in my initial watching of this season – my top ten highlights. 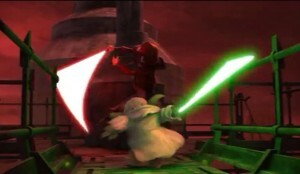 Although it was uncomfortable and upsetting to watch, when Anakin Skywalker flies into a rage and pummels Clovis over his jealousy concerning Padmé, it was important to show a flash of the type of blind rage into which he could get as a prelude to what happens toward the end of Episode III, when he kills Padmé. It’s not quite clear what type of reality in which Yoda fought with Lord Sidious, but it was them who were involved in the fight. While Yoda was there to discover who the puppet-master of all of the Sith’s actions were, Lord Sidious was there to kill off Yoda. And it ended in a stalemate, with neither of them achieving their objective, but it was an exciting match-up. A wonderfully-done introduction to “The Lost One” (my favorite episode of this season) shows an expedition discovering Master Sifo-Dyas’ ship and light saber. 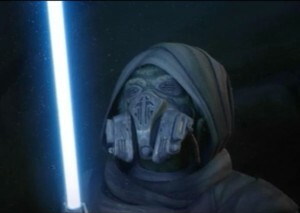 While he garners a mention in Attack of the Clones, we know all too little about him, except that he went missing around the same time as the creation of the clone army. Yoda: “The creation of the clone army, kept secret from us, Sifo-Dyas did. How this was done, we know not. 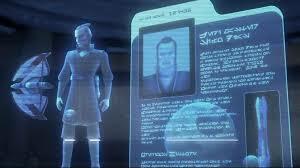 In this episode, we also learn that his file in the Jedi archives is classified (which is suspicious), that he had argued with the Jedi council to create this clone army, and that he was killed by Dooku to cover up his knowledge about the Sith’s involvement. In the various tests through which Yoda endures on his quest for immortality, the one that sticks out most to me is where he engages with his dark side. While this is not the Yoda we remember from the Empire Strikes Back and the Return of the Jedi, that’s actually part of the point – he undergoes an inner change. For more on this interaction, the dialogue, and Dave Filoni remarks, see my previous post on this season. While investigating Master Sifo-Dyas’s disappearance on the planet of the Pikes, Anakin Skywalker and Obi-Wan Kenobi engage in a really great light saber battle with Count Dooku – perhaps some of the best moves we’ve seen in this series. The plot significant piece to this is, at the end, when the Pikes address him as Lord Tyranus, which reveals Count Dooku’s alternate identity to the two Jedi. Now that they know who Lord Tyranus is, they now know who commissioned the clone army. 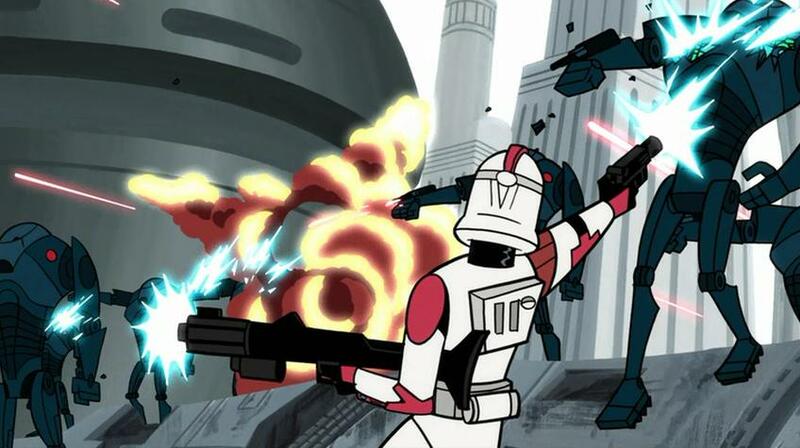 It is a real pleasure watching Fives doing what he can, even going on the run to discover the truth about the “tumor” in Tup’s brain, especially on Kamino in “Fugitive”, with a really great job done to create the drama in his searching for the truth on Kamino, while evading everyone else in the process. Furthermore, it’s great to see the humanity in his quest, as well as his developing relationship with the somewhat quirky and tremendously helpful AZI-3 accompanying him. 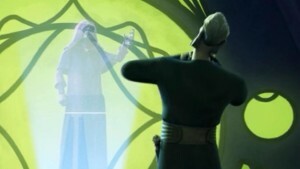 Tup’s malfunction regarding the premature activation of Order 66 in his brain results in a huge effort by Lord Sidious, Lord Tyranus, and the Kaminoans (primarily, Nala Se and Lama Su) to cover it up. Their cover-up begins with the Separatists attempt to capture Tup en route to Kamino, to the desired destruction of Tup, to initially calling it a “tumor” that wasn’t supposed to be there, then changing it to be an “inhibitor chip” to control their aggressiveness (in contrast to Jango Fett, apparently). Along the way, it is fascinating to hear the anxious dialogues amongst the Sith and Kaminoans about this, revealing even the Kaminoans being complicit in this whole scheme. While one is left wondering after episode 3 how Order 66 could come about, we get a better understanding of how the whole process was put into play. This one event was highly anticipated going into this season, largely because of it being a primary point of promotion, but also because it is a glimpse of what is to come and sets in motion a great deal of panic on all sides – whether Sith, Jedi, Kaminoans, or clones. The Sith are worried that the Jedi will find out about Order 66, the Jedi are concerned why one of their kind was purposely murdered, the Kaminoans need to maintain their brand quality (for both the Jedi and the Sith(! )), and the clones are befuddled as to why one of their brothers would do such a thing to one of their trusted generals. Most importantly, it shows what could go wrong with their plan to put the knowledge and receptivity to Order 66 into the clones. It’s, of course, fascinating to watch the clones act upon the activation (and utterly sad), but Tup’s action is a great narrative expansion of a hiccup in putting this “inhibitor chip” into play. And it’s, furthermore, interesting because despite the goodwill the clones have with the Jedi, Order 66 can override that. Wow! A Force choke would have been significant in this relationship, since Count Dooku has been there working for the Sith and we haven’t seen Lord Sidious being so upset with Dooku. 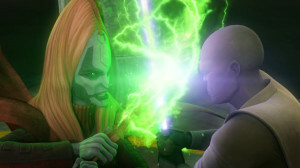 It also shows how Lord Sidious wants this loose-end cleared up and upset about it. However, all of this is great plot-wise, but isn’t what makes it truly incredible: Lord Sidious Force chokes Count Dooku through hologram!!! That’s incredibly powerful! Once again, Palpatine masterfully orchestrates an incredible scheme to wrest control of the banking system from the banking clan and eventually into his power – wow! We get a glimpse of Yoda being confronted by Ahsoka in a test and his expressing his regret that he didn’t stand by her during her having been accused at the end of season five. This is remarkable on account of us seeing a further growth for Yoda’s. Yoda’s Immortality Quest having been encouraged and interested in it by Qui-Gon Jinn provides us with some backround as to how it could be that he appears to Luke Skywalker after his death on Endor. Money is necessary for keeping things running and that’s certainly true for war, so it’s no suprise that the banking clan is involved, although it is curious to see them serving a neutral role, trying to do business with both sides. Lastly, Jar Jar Binks having a romantic interest is probably a strange thing, although stranger still is that not only that she is really into him, but that she is also a regal queen! This has absolutely no bearing on the series or plot or the war, but it’s amusing to see Jar Jar in a relationship. I hope to provide an assessment on season six at some point in the future, so stay tuned….